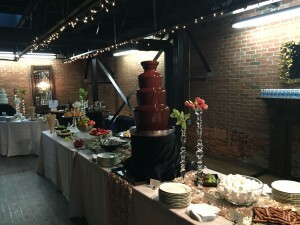 Gourmet Cafes is Atlanta’s premier chocolate fountain resource. Our gorgeous fountains of flowing chocolate make a stunning focal point for any event. We exclusively use gourmet Belgian chocolate. Choose from of milk chocolate, semisweet chocolate, or white chocolate. 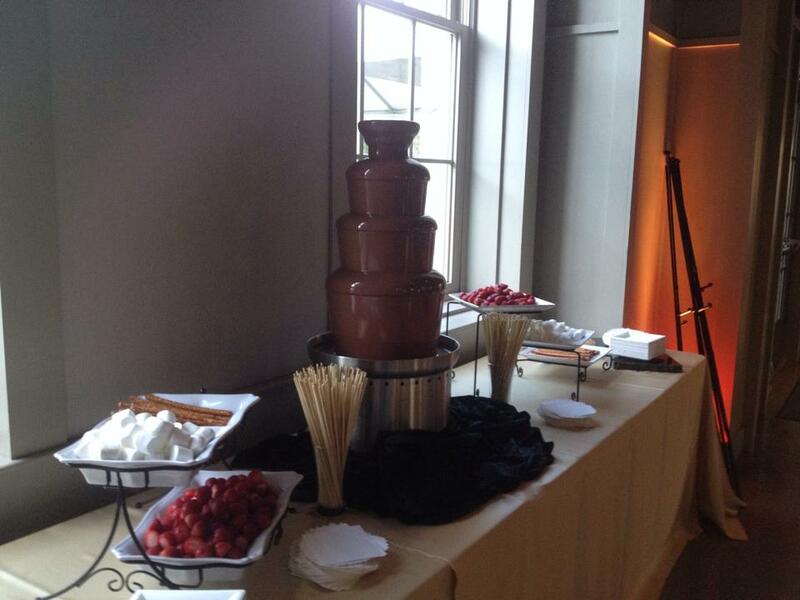 With our turnkey service, having a chocolate fountain at your event is a breeze. We will deliver, set up, and stage your chocolate fountain. If desired, an attendant can remain onsite to assist guests and restock the dipping items. At the end of your event, we will drain and remove the fountain to be cleaned at our facilities. Upon request, we can provide dipping items for your chocolate fountain. Our standard assortment is fresh strawberries, marshmallows, and pretzel rods. We are happy to suggest a menu of more varied dipping offerings, such as rice krispie treats, fresh pineapple chunks, maraschino cherries, and cream puffs. We’ll ensure that your ch ocolate fountain presentation is attractive and easy for guests to navigate. If you’re looking for a chocolate fountain in Atlanta, look no further than Gourmet Cafes! Copyright © 2019 Gourmet Cafes. Powered by WordPress. Theme: Spacious by ThemeGrill.